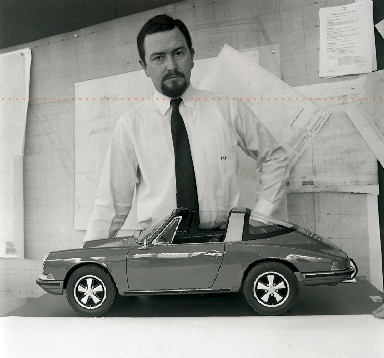 The idiosyncrasies that characterize Porsche Design can be traced back to its founder Prof. Ferdinand Alexander Porsche, his personality and his personal history: Born on December 11, 1935, the eldest of four sons of Dorothea and Ferry Porsche spends countless hours of his childhood in the Stuttgart design office and development workshops of his grandfather, Ferdinand. When the vagaries of war compel the entire family and company move to Austria in 1943, Prof. Ferdinand Alexander Porsche attends school in Zell am See. Meanwhile father Ferry begins work on his first sports car, which becomes the Porsche 356. After the family returns to Stuttgart in 1950, Ferry Porsche forms the Porsche sports car manufacturer out of his father’s design studio. 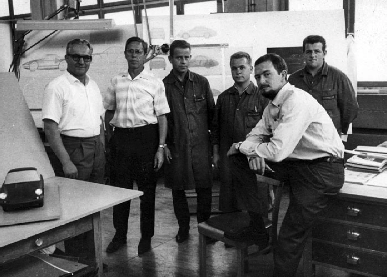 Prof. Ferdinand Alexander finishes secondary school at the Waldorf school and enrolls at the College of design in Ulm before joining the family firm as a designer in 1958. 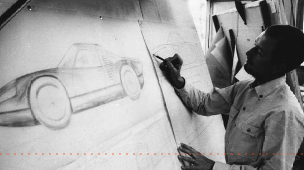 His first great challenge is designing what would become the Porsche 911, making him the father of the iconic sports car. 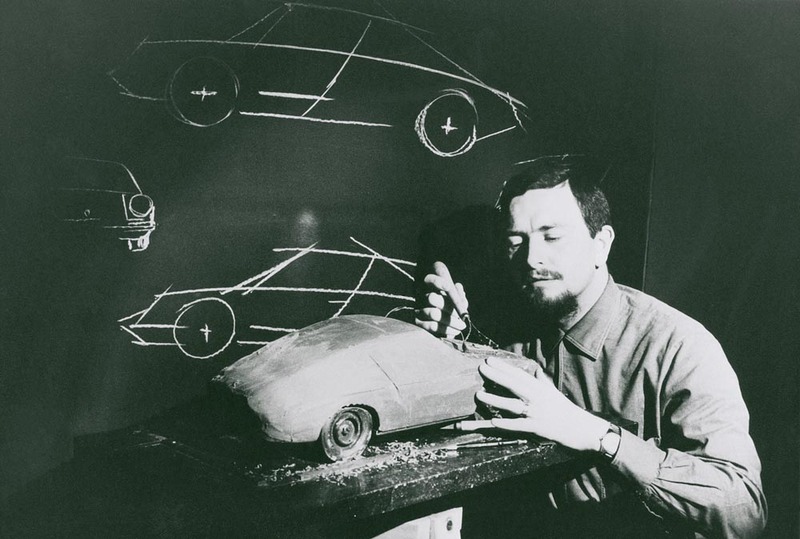 In the 1960s, Prof. Ferdinand Alexander Porsche designs numerous other cars ; primarily race cars. His instinct for technology, materials, and his purist aesthetic become ever more refined. The greatest opponent for any race car, after all, is weight. It squanders power, time, and fuel – and thereby victory. “His” cars include the Formula 1 bullet Porsche 804 and the Porsche 904 Carrera GTS, whose plastic body was a masterpiece of lightweight construction in its day and is still considered one of the most beautiful race cars of all time. The early 1970s are a time of transition for the company. Porsche KG becomes a joint stock company under the name Porsche AG and the family withdraws from business operations. Ferdinand Alexander Porsche retains his seat on the Supervisory Board but is forced to relinquish his position as head designer to comply with rules. 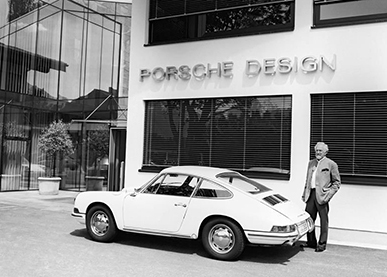 In 1972, driven more by the need to create than a promising business model, he founds Porsche Design in Stuttgart. The Porsche company is among the first to commission a project. The sports car manufacturer is in search of a suitable gift for employees of longstanding service. It commissions a watch and commits to buying 20 units per year. Otherwise, Ferdinand Alexander and his small team spend most of their time working on pursuits that interest him personally. 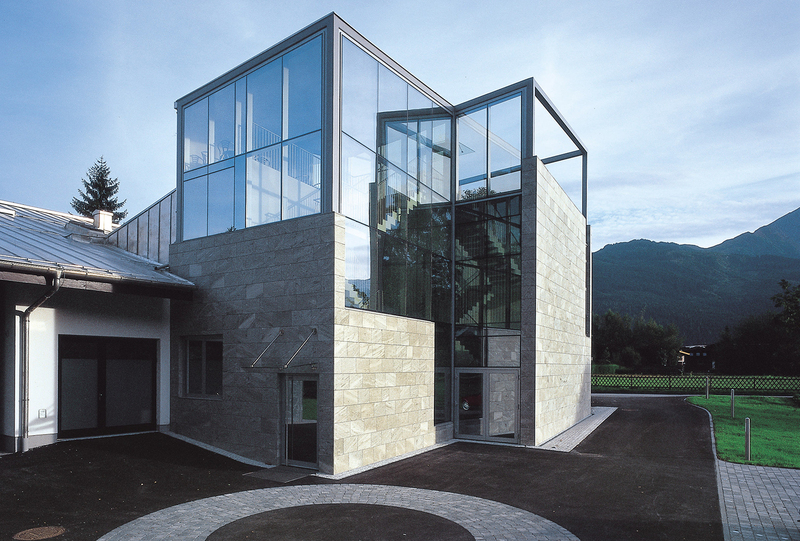 In 1974 the founder feels drawn back to his childhood home and builds the Porsche Design Studio in Zell am See. To Prof. Ferdinand Alexander Porsche, the hustle and bustle of a large city is more a distraction than anything. Farm, family, mountains – this is the backdrop he needs in order to think and work in peace in the studio. He also enjoys the small circle of his employees and highly values teamwork. 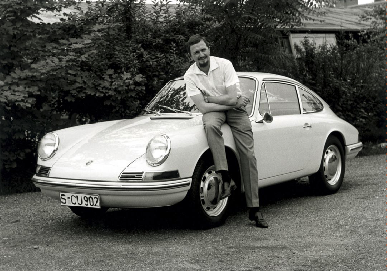 But Prof. Ferdinand Alexander Porsche also maintains his individuality. Acquiring more and more money does not interest him. The idea of expanding his company to take on ever more external orders is foreign to him. Instead, he uses his financial independence to enable him to design products the way he sees fit or not at all. The customers from industry who come knocking in ever greater numbers find a partner brimming with creativity, but disinclined to make compromises. Porsche Design does not think in large volumes; it uses – as with its own products – high-quality materials and pays little regard to the costs of industrial production. The practice deters some customers, but others grudgingly give the thumbs up. Under no circumstances do they want to forgo the prestige and guarantee of quality that the “Porsche Design” brand confers on their products. Some of these industry products – for example the “breakfast series” from Bosch and Siemens Home Appliances – prove tremendously profitable despite higher manufacturing costs. In spite of its single-minded purpose, Porsche Design has always had a two-pronged approach. On the one hand, it designs its own products in Zell am See – a process that has produced numerous design classics, notably watches and glasses. On the other hand, it works with the same passion and unwillingness to cut corners for industry. The Porsche Design brand sharpens its profile, raises brand awareness, creates desires.